It’s hard to believe how much the La Palina brand has grown since I attended the launch party in June 2010. From the debut single vitola blend, La Palina now features a dozen blends, most with multiple sizes. Illumination an features Ecuadorian wrapper and binder around Dominican and Nicaraguan filler. 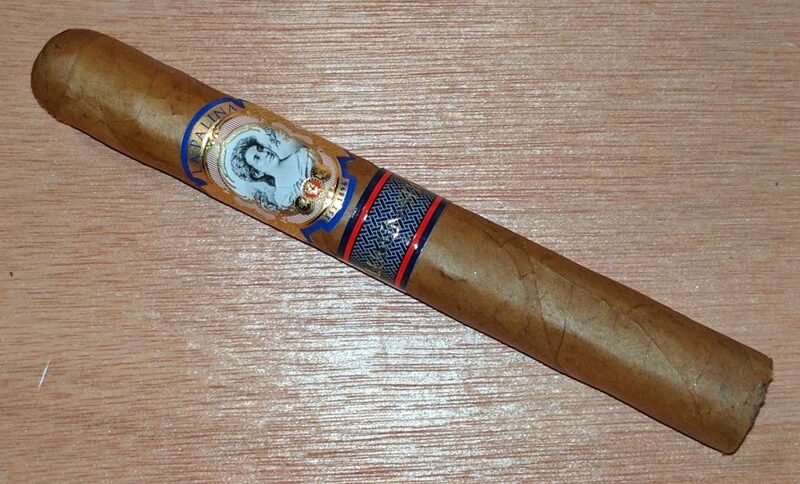 The cigar is made at the El Titan de Bronze factory, same as La Palina’s better-known Goldie. The corona gorda-sized Illumination Colonial (5.25 x 44, $10.50) showcases medium-bodied bread, cedar, hay, and coffee notes. Flavors are pleasant enough, though hardly in the same class as Goldie. The biggest flaw, however, is a burn that goes out for no apparent reason and requires several relights.